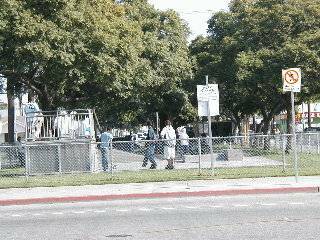 (March 28, 2005) -- "14th St. Park," a street median with playground equipment between Chestnut and Locust Aves. where some activists have charged City Hall tolerates nuisance and law-flouting activities, was the site of a midafternoon shooting on Sunday March 27. LBPD Public Information Officer Israel Ramirez says the shooing took place about 4:30 p.m. on Sunday, wounding a man in his late 30's who was standing with two other people. LBPD arrested a 16 year-old boy in the shooting. 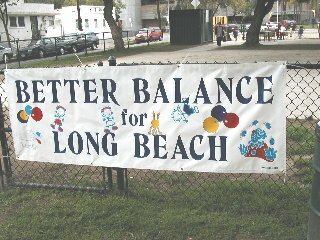 In November and December 2004, a group of business and neighborhood activists, saying they were frustrated with neighborhood conditions, organized "Better Balance for Long Beach". They began holding neighborhood picnics in the area, saying the events were intended to show solidarity with neighborhood residents. In December 2004, LBReport.com described what we saw in the area...and noted that a shooting had occurred in the area (near Washington Middle School) just hours before Better Balance's second picnic. "The West Division [police] officers have been very supportive. They've been working with Better Balance since we became involved in October  but they're operating a vacuum. 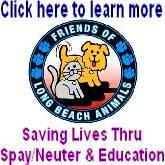 There's an atmosphere of general lawlessness in the neighborhood on multiple levels that is tolerated by Long Beach City Hall." The most recent shooting struck a nerve among usually mild-mannered neighborhood activists. Dennis Monfett, vice president of the Washington School Neighborhood Association, said that after what had just occurred on PCH at LB Blvd. [Blue Line train, alleged armed robbery], "what's going on here lately is scaring me to death." He said, "We had a bullet go through a car window [Pacific Ave. north of 14th St.] and to me, my God, what if that bullet went through a resident's window and killed a parent or a child?" He added, "Bonnie's not getting the job done as far as I'm concerned, and if she can't do her job, it's time to find someone who can." 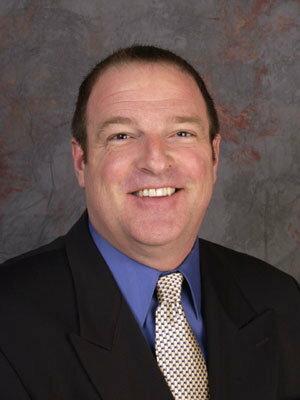 When told that Tomas Gonzales (a speculated potential challenger to the incumbent) had told LBReport.com that he's bought a home in another Council district, Mr. Monfett said, "Anybody'd be better than what we have now." "Better Balance for Long Beach," a group recently created by LB activists representing businesses and residents, began holding neighborhood picnics last month in "14th St. Park." "14th St. Park" is designated a playground on the Dept. of Parks, Recreation and Marine's website, which lists its hours as 11 a.m.-4 p.m. Saturday and Sunday, 3-5 p.m. M-F.